Given that my last dose of exciting openings was in September 2014, its fair to say that a whole host of exciting places have opened. However to stick to tradition, I shall go through a few of the places that sound most exciting to me. There has been a huge amount of chat around Duck & Rice and as usual, there has been zero word from camp Alan Yau. 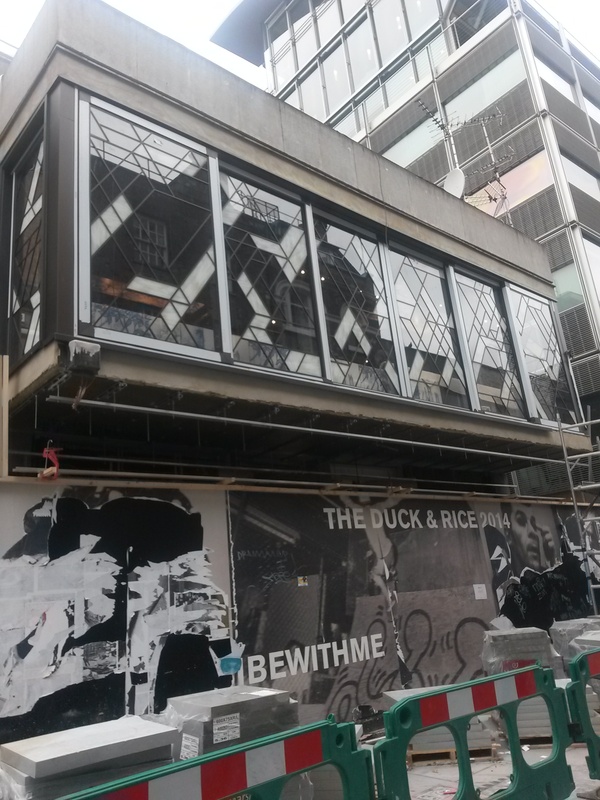 Thus when I was passing through Soho last week, I was excited to see that half of the hoardings that have been up around the site for the best part of a year have come down. The council were also finishing up the work to the pavement outside (convenient). 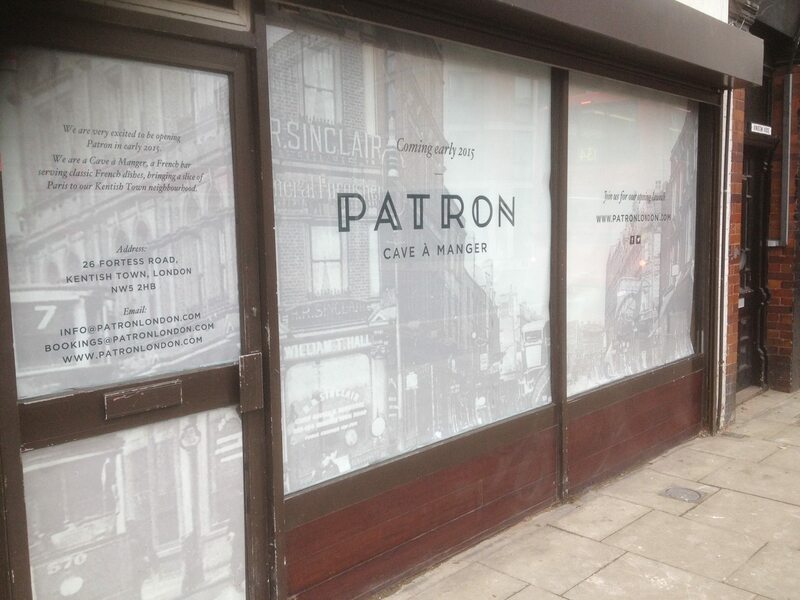 It seems according to my research that this eagerly awaited eatery is due to open this month. Keep your eyes peeled! I think its the thought of Premium succulent Kebabs that got my mouth watering. This little gem opened in November 2014 but is on this list because I only just found out about it. With room for only 20-25 inside, its probably better placed for a quick bite rather than an extended dinner. 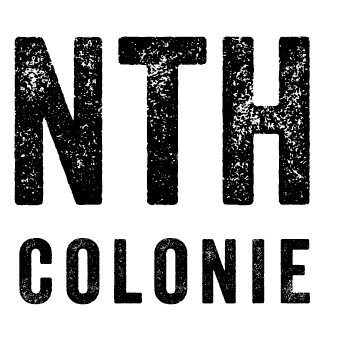 Sticking in Farringdon, The Fourteenth Colonie is taking over the space left by Giant Robot so expect large, New York style bar & restaurant. This one has made the list because it seems they guys behind this big beauty are dreaming big. With 8 sites planned over the next year, it seems that this could grow to become a name that familiar to most. The thought of a NYC style brunch in a large airy space sold it for me, throw some cocktails into the mix and this place is going to be a winner. The best part is they’ve got a soft launch running from the 24th-26th February 2015 offering 50% off so go on, run along & give it a go! Sign up for the soft launch by following this link. Here’s one I found out about via the magic of social media. In a recent twitter frenzy I ended up coming accross Patron. Seems they will be opening in March (although they were originally scheduled to open in October 2014) & a soft launch is most definitely on the cards. However I was unable to get any further information out of them. 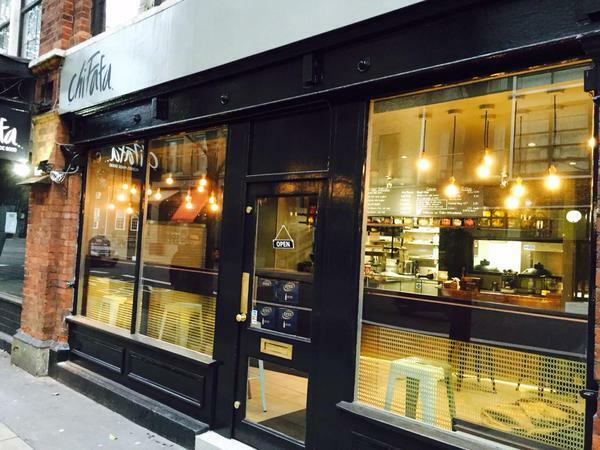 Expect classic French food, bringing a slice of Paris to Kentish Town! I had to end the list on the current favourite. It seems that burgers may have had their day. A number of Hot Dog restaurants have opened up over the last 6 months. Whilst on the one hand I don’t think its justifiable spending an obscene amount of month on a hot dog when you can get a horse hot dog from Ikea which tastes great for not very much, I have to admit, I do enjoy a good dog. Those who saw my post on Dirty Bones a few weeks ago will know that hot dog toppings are getting all the more adventurous. Top Dog differs from some of the other options because it’s aiming to be slightly more healthy. Not quite sure how that’s possible given that you can choose from veal & pork, beef, chicken & veg dogs with three bun options & 9 hotdog choices. Not to mention organic ice cream milkshakes, rapeseed cooked fries & hand-made relish. Beats me! Top Dogs opens in March 2015.